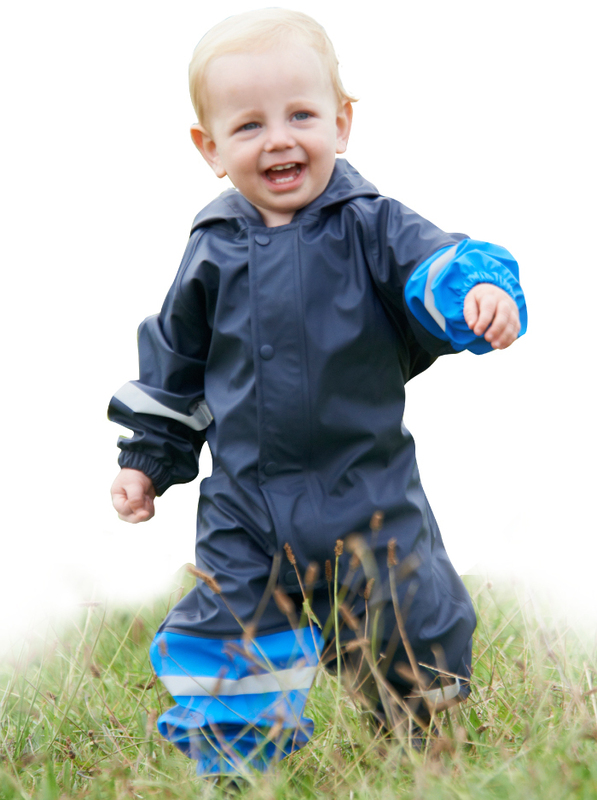 The all in one especially designed for our littlest adventurers, allows plenty of space for warm layers underneath and room for growth. A hood has been cleverly designed to fit perfectly around the child’s head while elasticated arm and leg openings give the perfect fit and optional stirrup straps can fit over or hold inside gumboots. 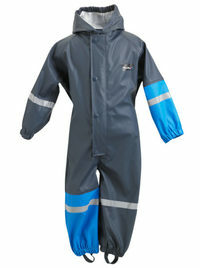 100% waterproof, windproof and generously sized to allow layering. The All in one has reflective strips and a flash of bold colour on both an arm and a leg making this rainwear an ideal hi-vis outfit for the farm, out at sport or the walk to school.